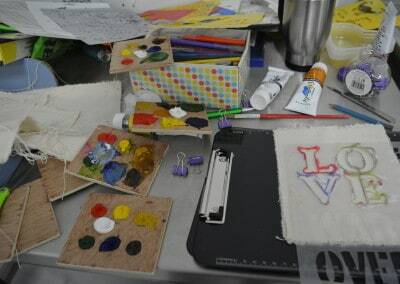 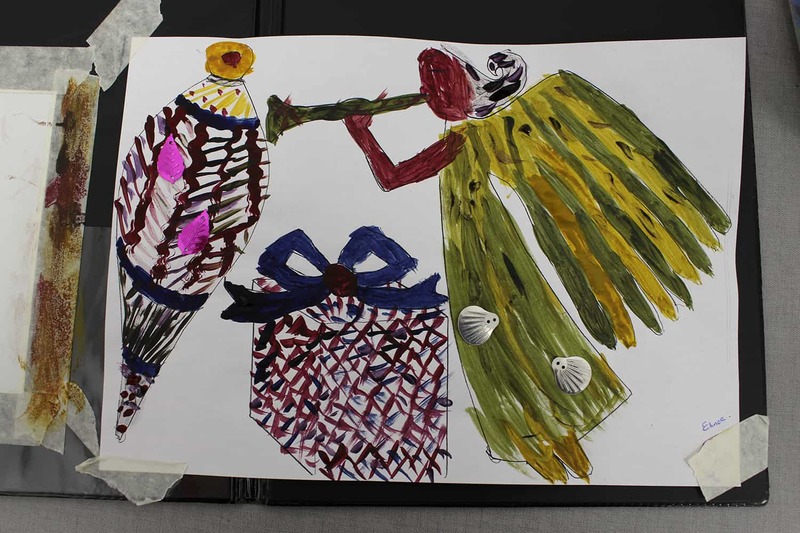 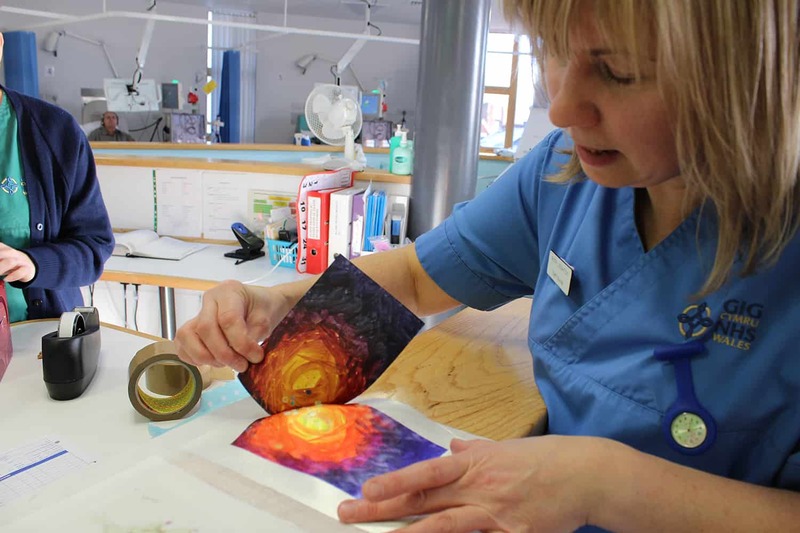 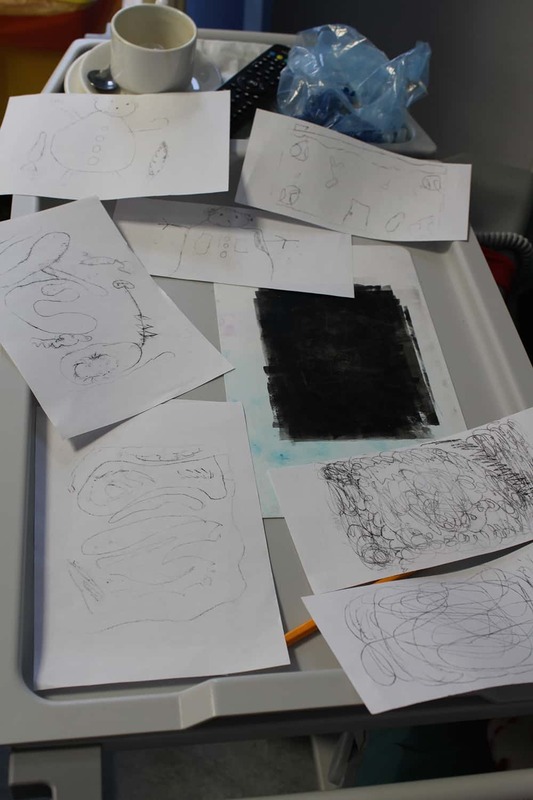 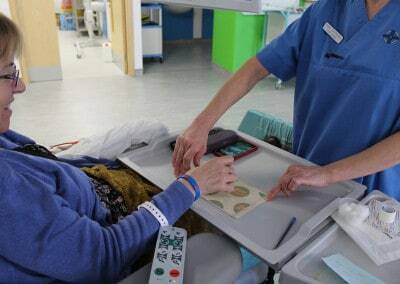 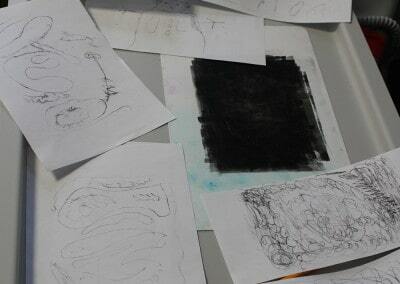 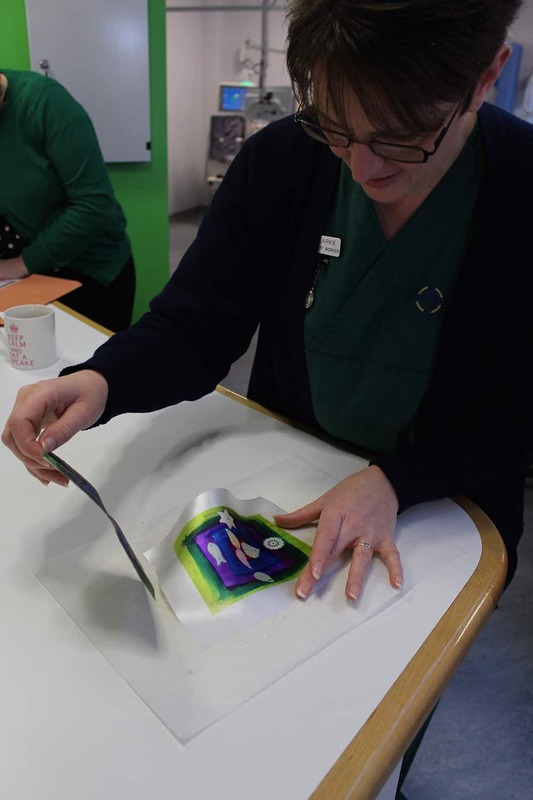 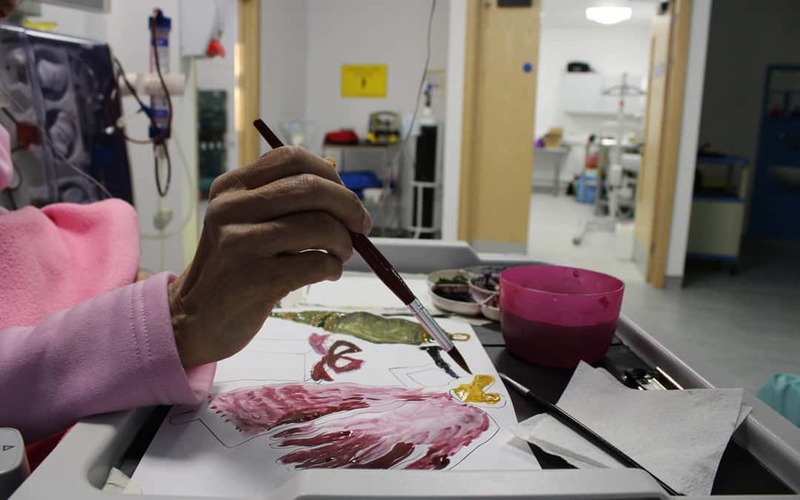 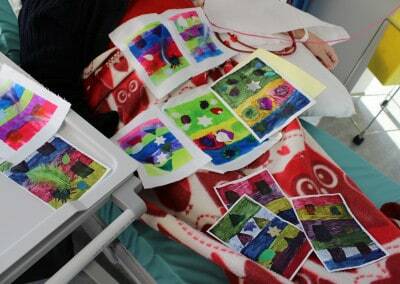 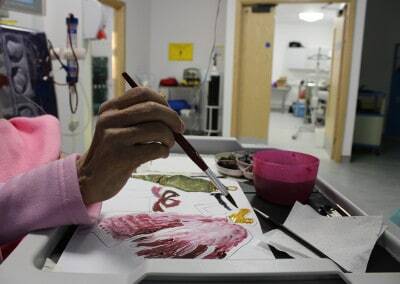 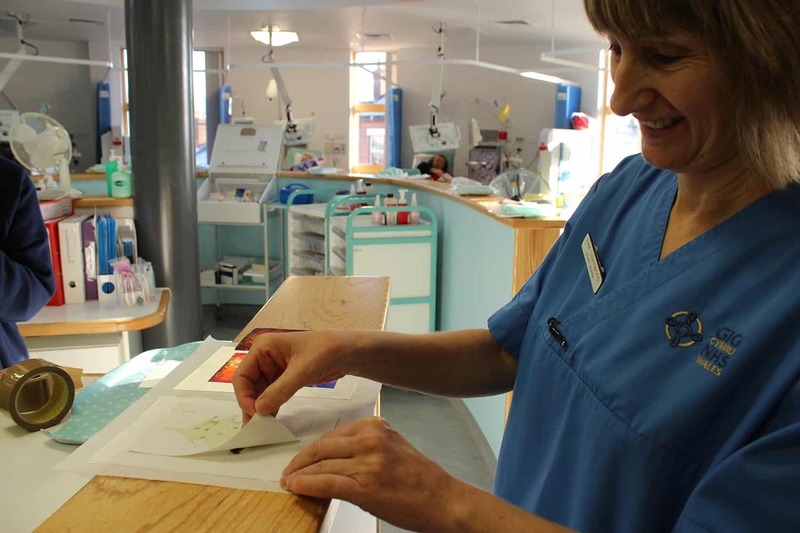 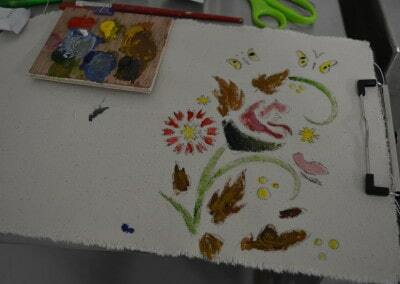 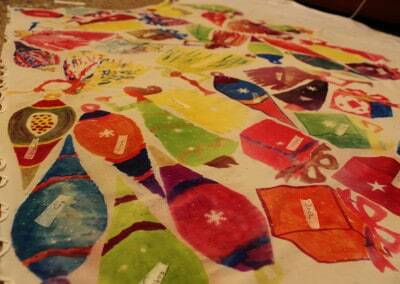 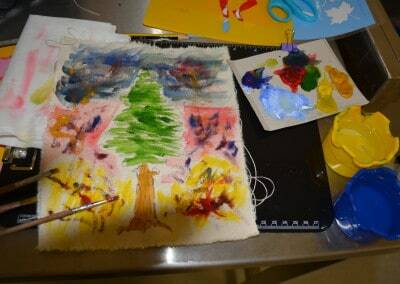 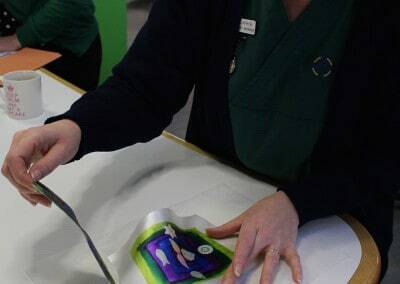 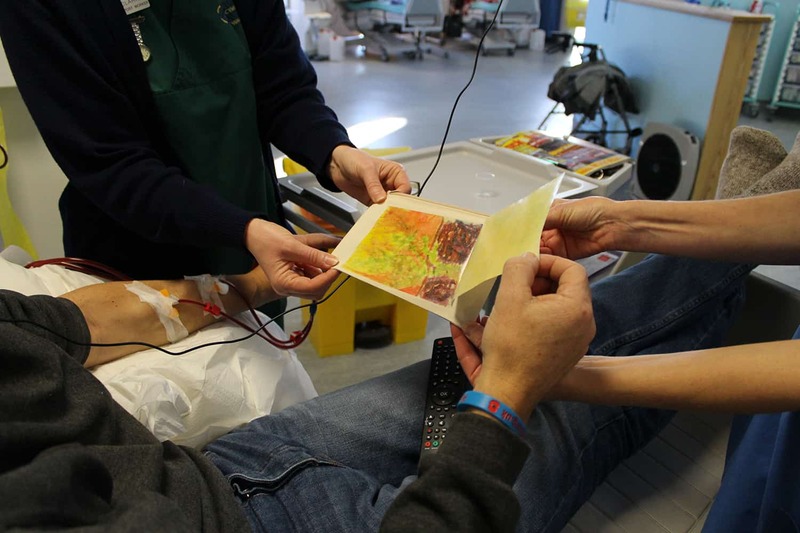 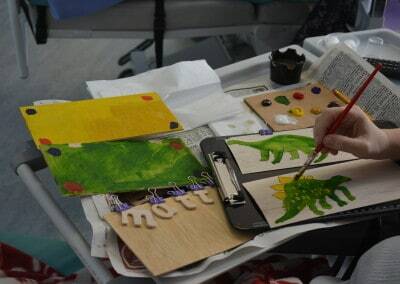 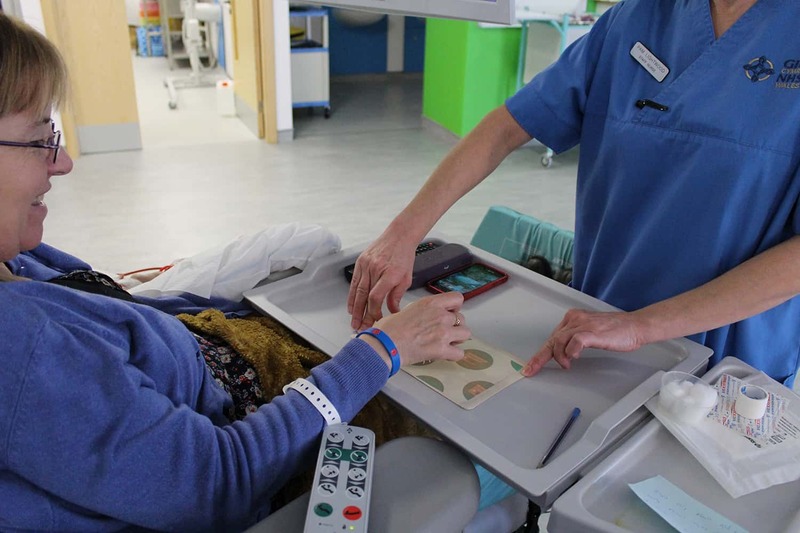 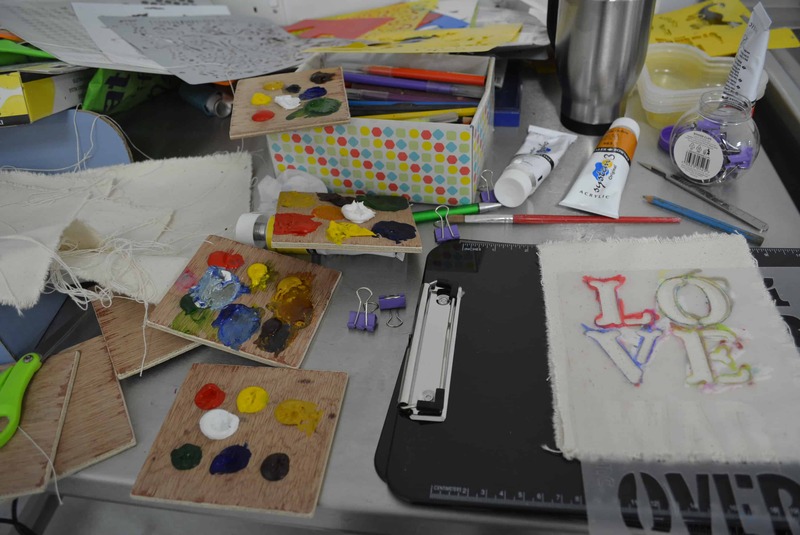 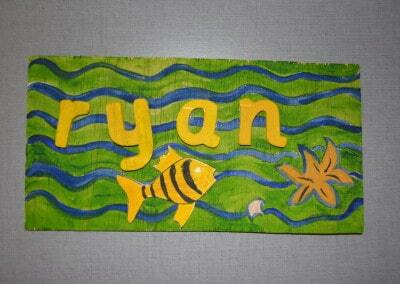 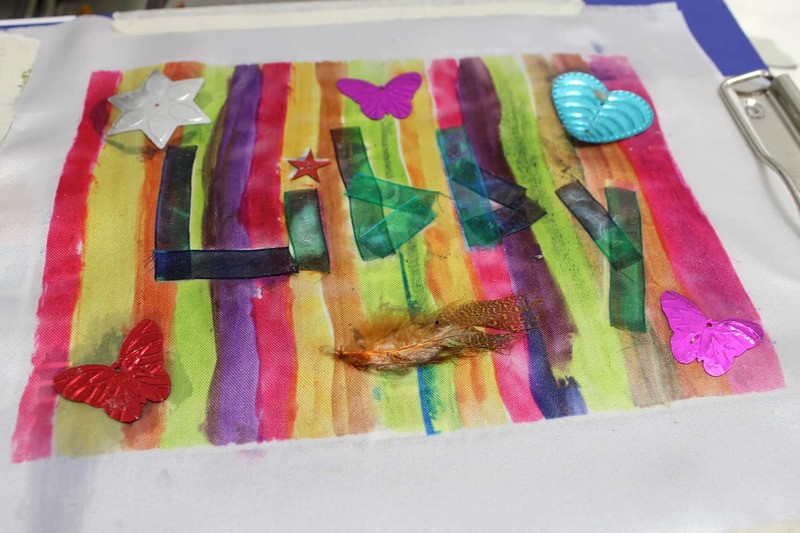 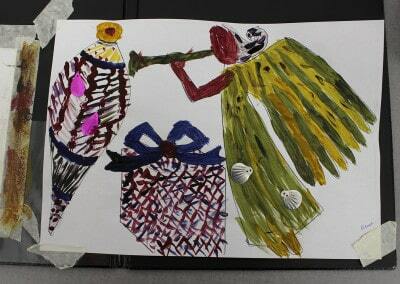 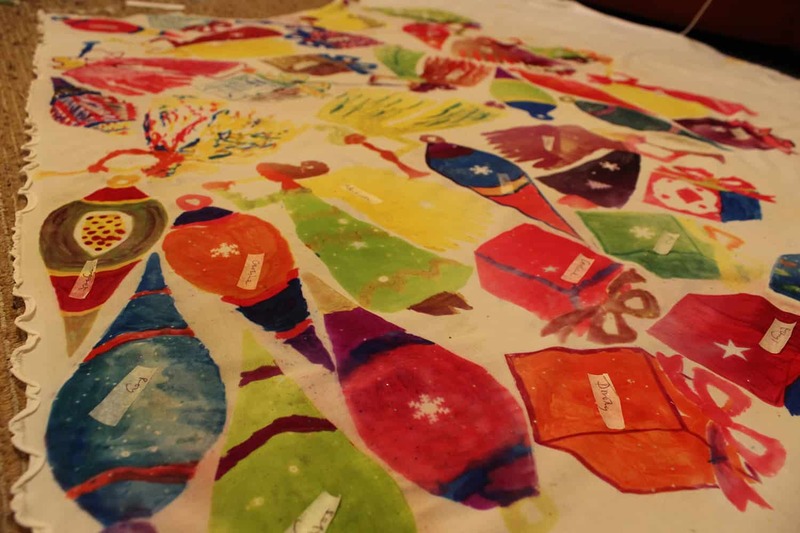 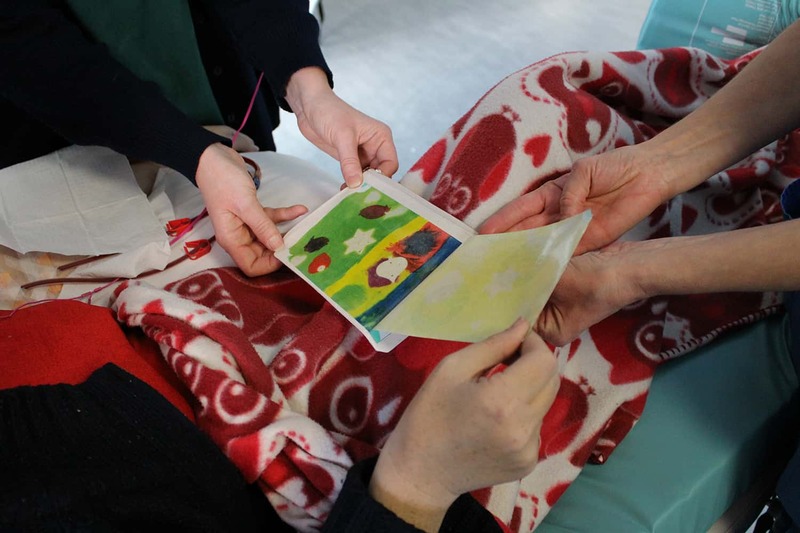 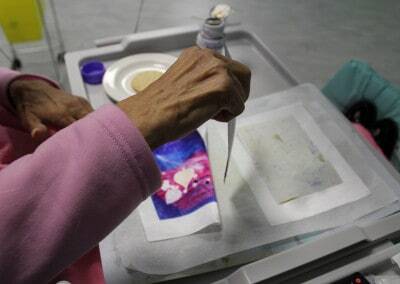 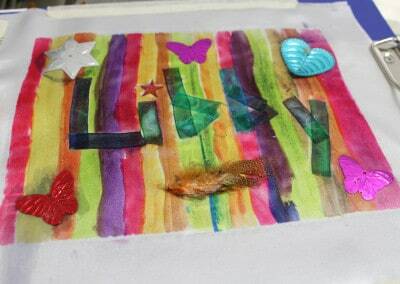 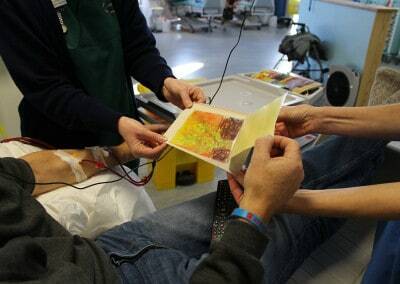 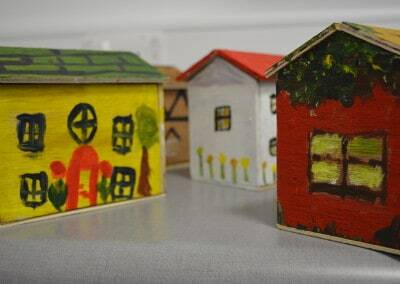 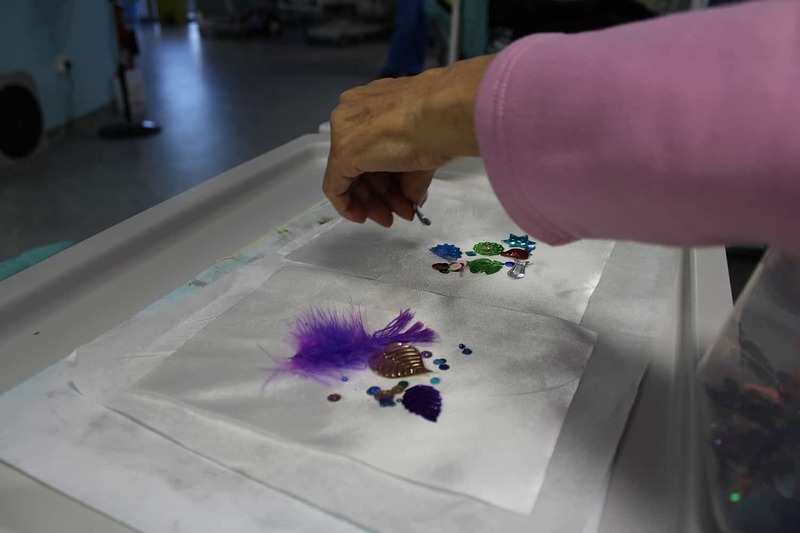 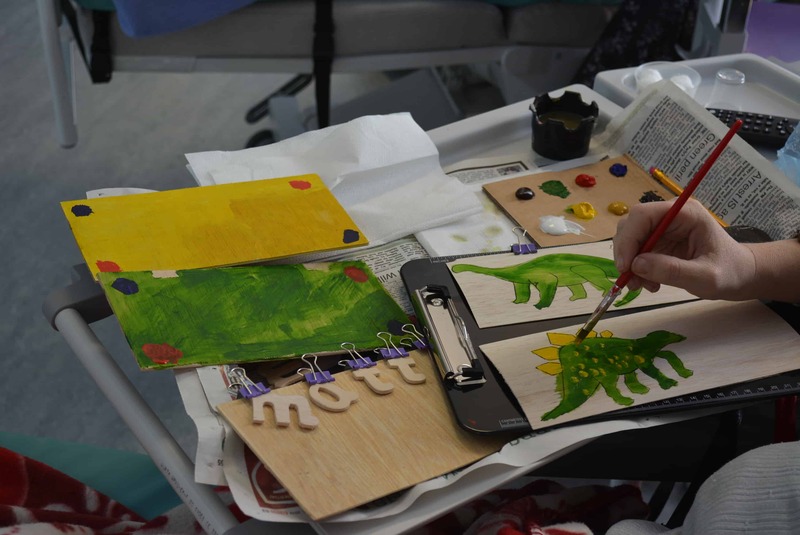 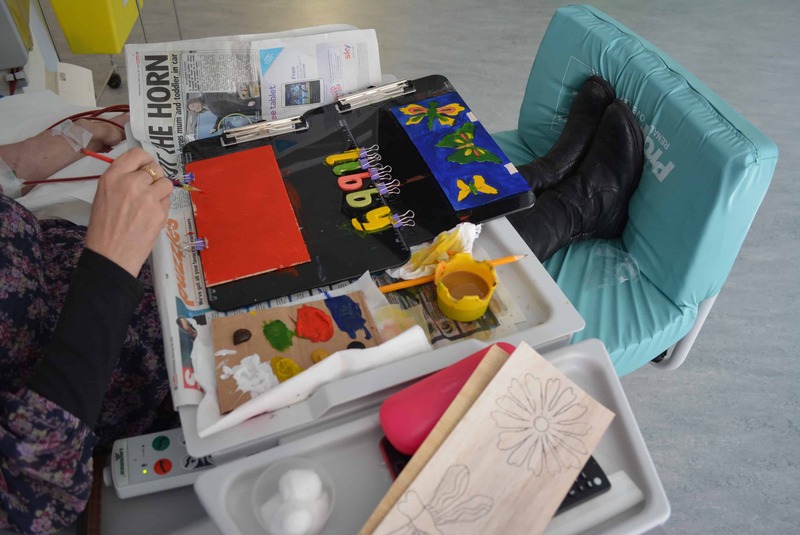 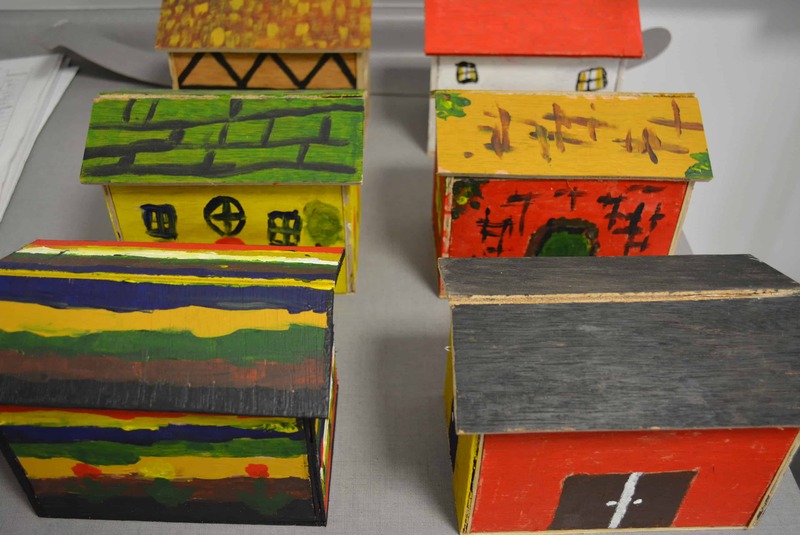 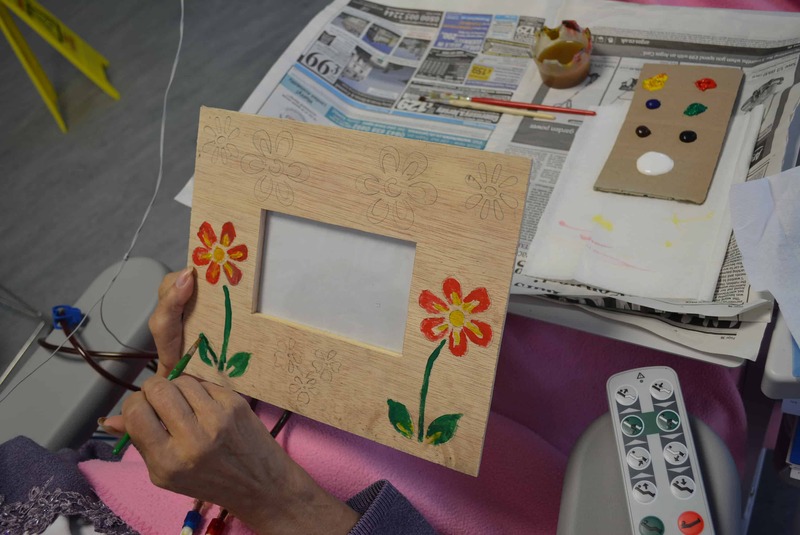 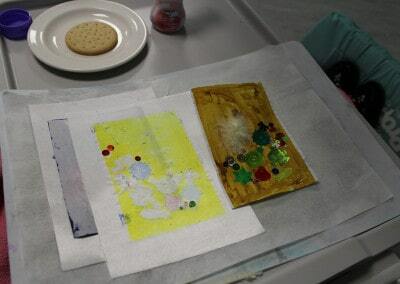 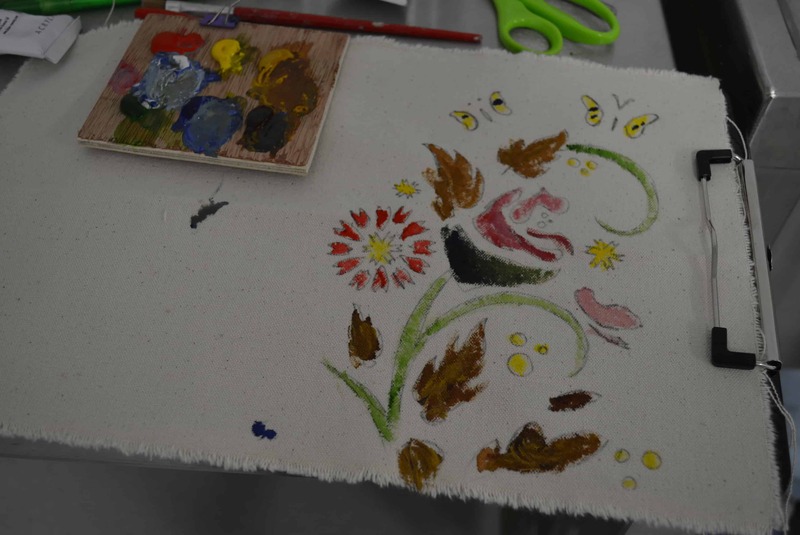 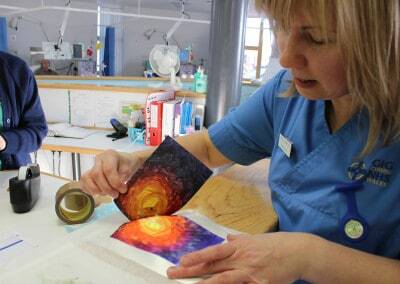 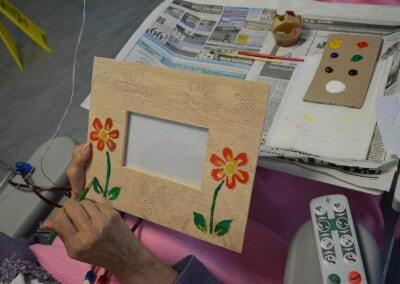 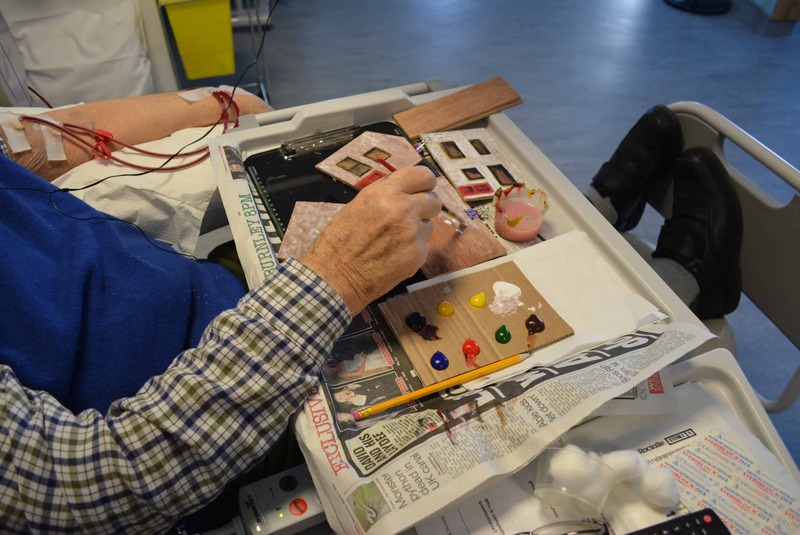 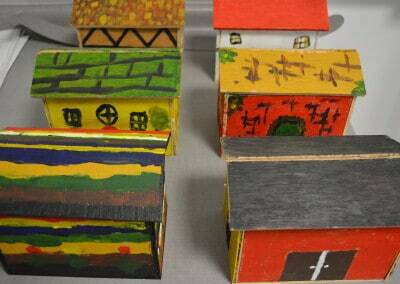 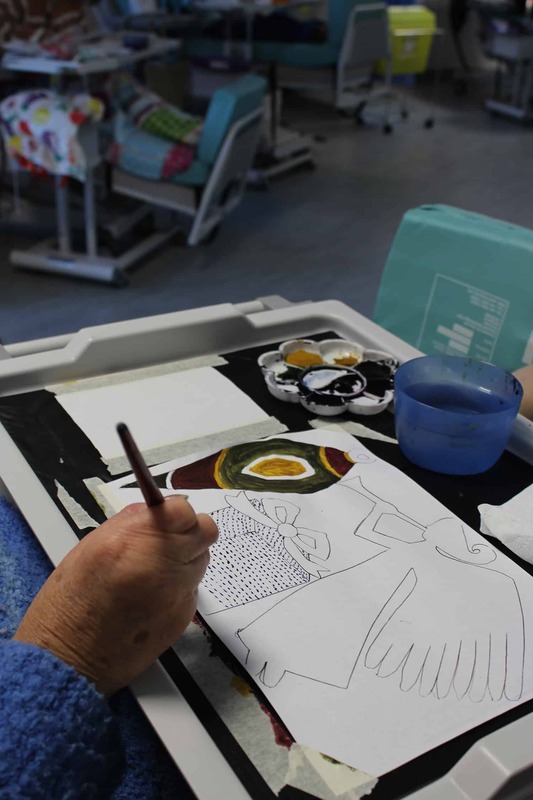 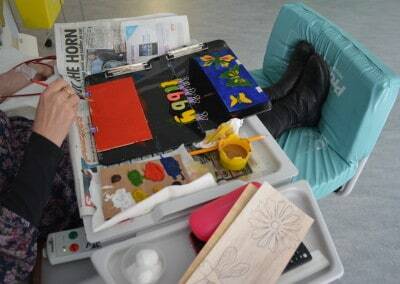 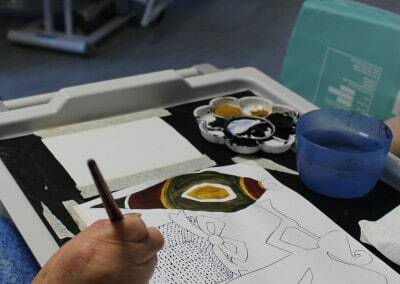 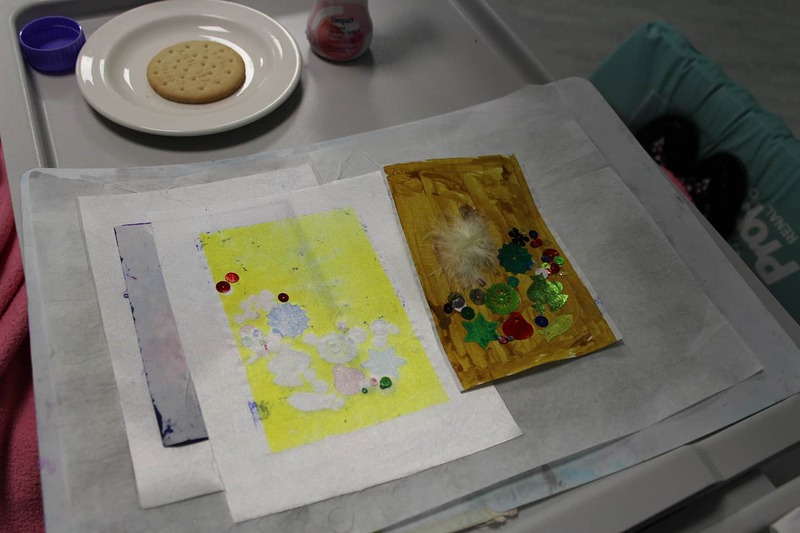 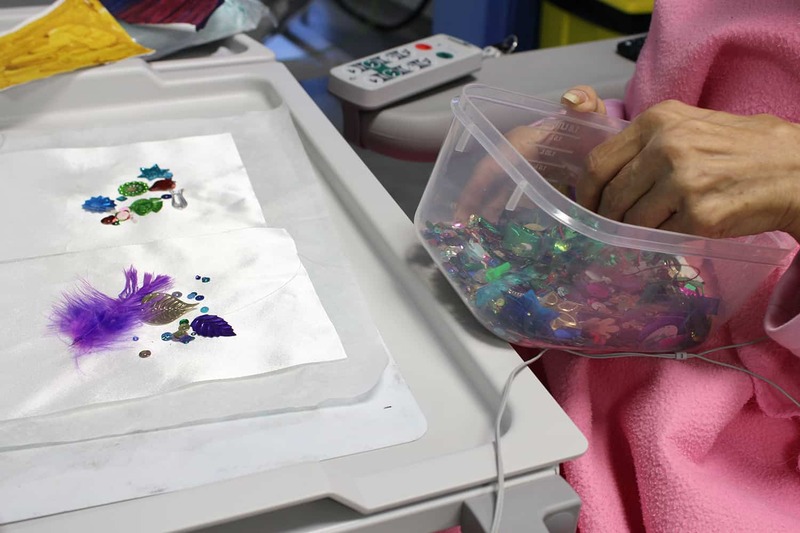 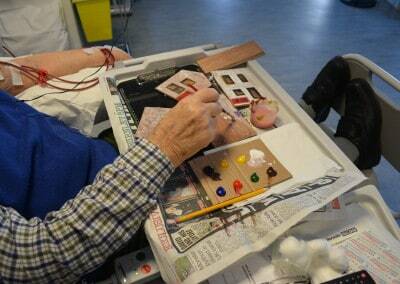 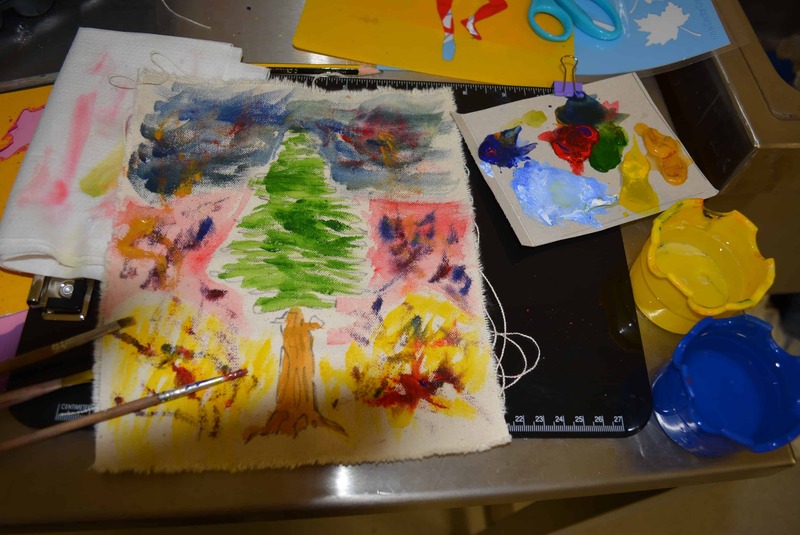 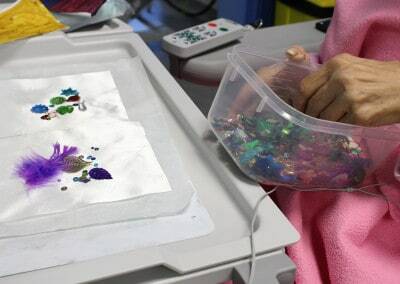 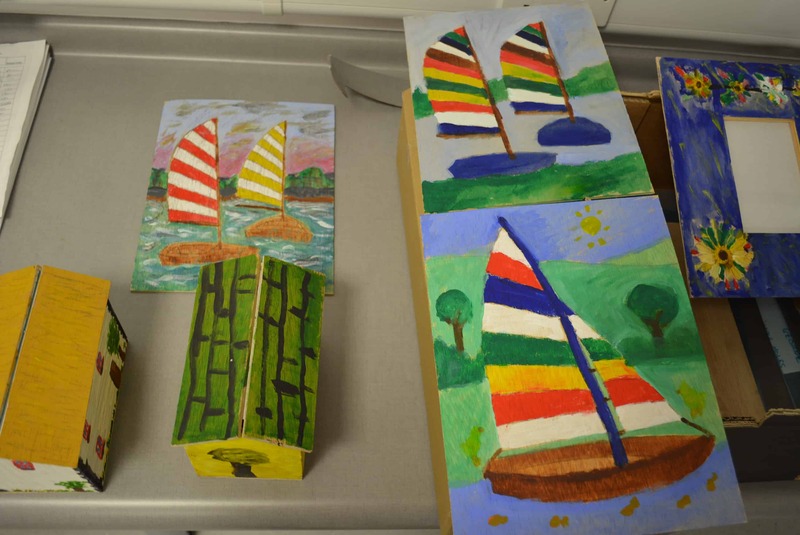 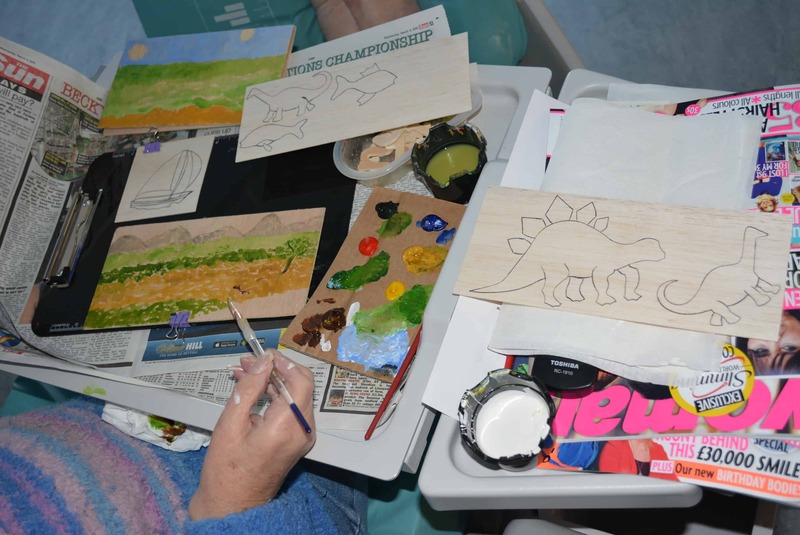 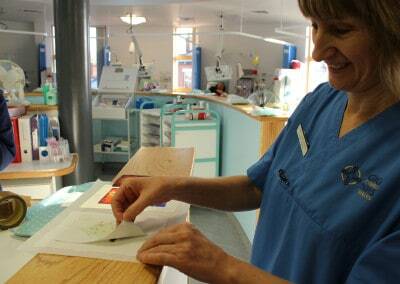 We worked in partnership with Welshpool Renal Unit to deliver a series of craft and visual arts workshops. 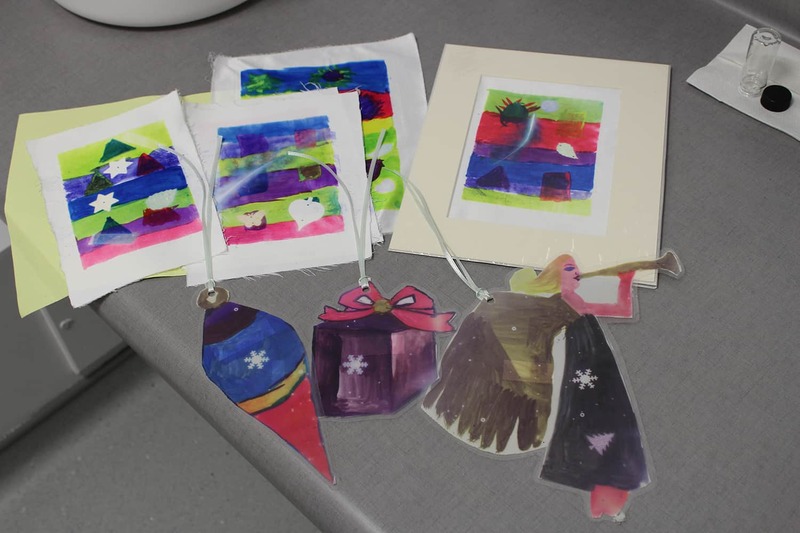 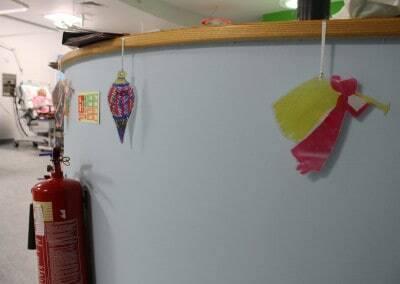 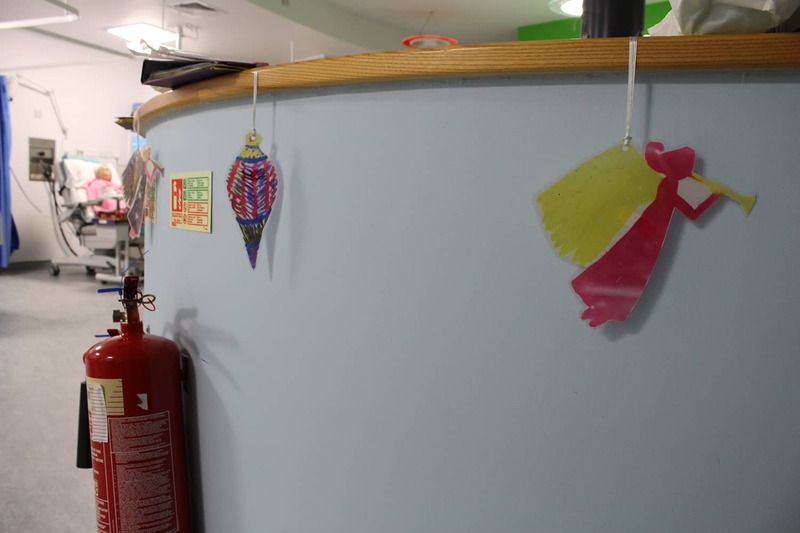 Honor Pedican, ran Christmas themed sessions, creating tree decorations, cards and more. 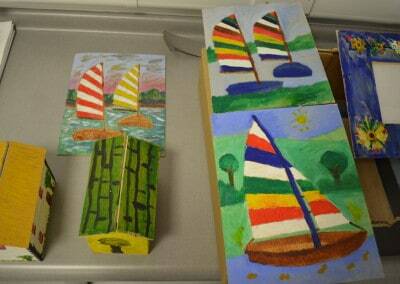 Blue MacAskill worked with them on painting canvases and they did simple woodwork with Alex Alpress. 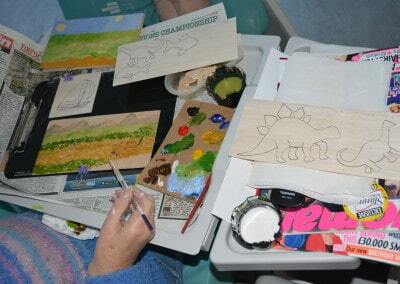 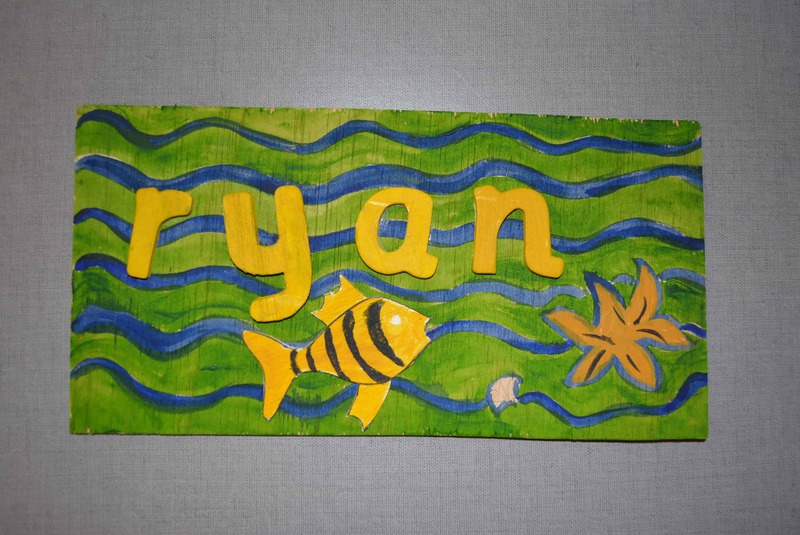 Overall all participants and staff got very creative and produced an array of colourful art works.